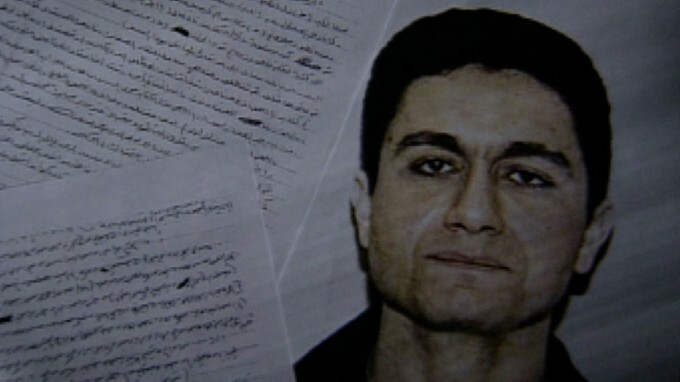 Mohamed Mohamed el-Amir Awad el-Sayed Atta was an Egyptian hijacker and Islamic terrorist and one of the ringleaders of the September 11 attacks who served as the hijacker-pilot of American Airlines Flight 11, crashing the plane into the North Tower of the World Trade Center as part of the coordinated attacks. Below, you will find various files on Atta, obtained under the Freedom of Information Act. U.S. Citizenship and Immigration Services (USCIS) Regarding Atta, Requested October 2014 [2 Pages, 0.2MB] – More than 13 years after the attacks – the U.S. Government is still classifying material on Atta. U.S. Citizenship and Immigration Services (USCIS) Regarding Atta, Requested January 2016 [12 Pages, 0.7MB] – After waiting a couple more years, I requested records again in January of 2016. To my surprise, USCIS is now claiming they “can not find” Atta’s alien file, but included some prints from their electronic system. What happened to Atta’s alien file, after having it classified for so many years?! U.S. Citizenship and Immigration Services (USCIS) Regarding Atta, Requested June 2018 [2 Pages, 0.7MB] – This was the result of a “Mandatory Declassification Review” request to declassify records relating to Mohammad Atta. It was forwarded from Department of Homeland Security (DHS) back to USCIS, and they then denied access to the records. Although they denied it, they did forward the request to the FBI for another review. Results will be posted, when they become available. U.S. Citizenship and Immigration Services (USCIS) FOIA Processing Procedures for requests related to Atta [122 Pages, 2.5MB] – I was told there were no records pertaining to my request (ie: no special instructions). I requested the entire case file to see what they discussed about behind the scenes. This was the result. Federal Bureau of Investigation (FBI) Says All Files are Classified, November 2014 [4 Pages, 0.2MB] – Another denial of material on Atta, citing a law enforcement proceeding. Federal Bureau of Investigation (FBI) FOIA Requests Relating to Mohamed Atta [178 Pages, 70.8MB] – This is the first release of FOIA requests received by the FBI, that pertain to Mohamed Atta. Additional records will be added, when released.